Manufacturer : American Pinball Inc. Experience the thrill of the exciting rides, including the amazing Corkscrew rollercoaster! 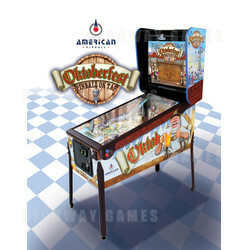 Players can enjoy the fantastic music, food and drink during their Oktoberfest adventure, and the interactive Otto the Bartender may even make an appearance.